Nothing says summer like a new pair of Jack Rogers. This season, the Navajo, a decades-old staple for elegant Upper East Siders like Jackie O., has been given a modern flair with bursts of neon pink, orange, and green. Can you guess which pair I bought for myself today? 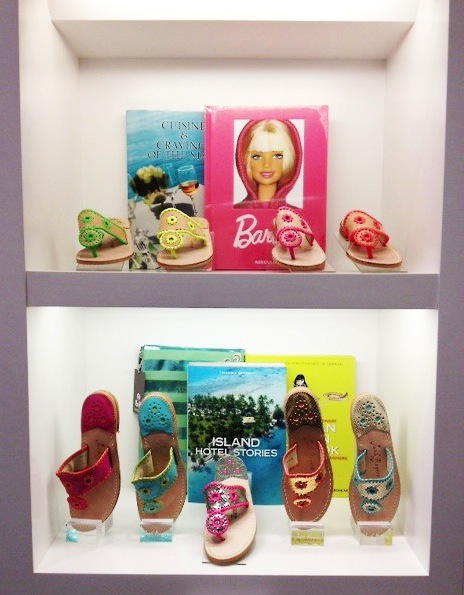 Visit the Jack Rogers boutique at 1198 Madison Avenue, between 87th and 88th streets, to view the limited edition neon collection and indulge in a pair for yourself. If you can’t get to the store, go to jackrogersusa.com.